Palmdon Drive – Yamabe & Horn Engineering, Inc. 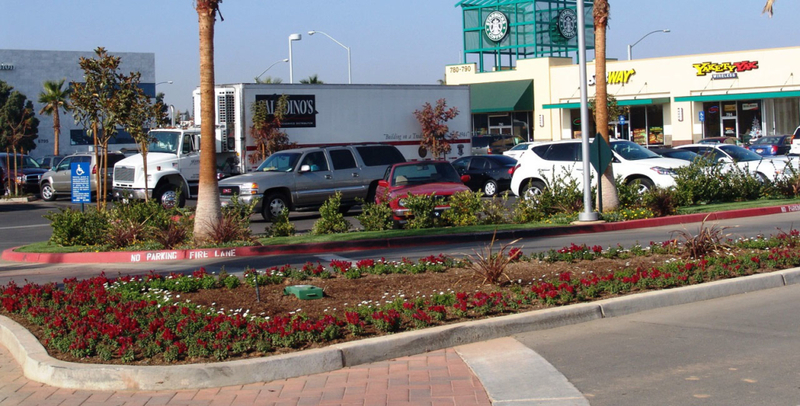 The southeast corner of Palm and Herndon was developed into multiple retail sites made accessible through the creation of a frontage road that was functionally named Palmdon Drive. Having worked with the developer Lance Kashian and Company successfully in the past, Yamabe & Horn was brought in to handle numerous components of the project, including street development, grading, site plans and parking design. The parcel is bordered by a storm basin to the east and mature residential development to the south with roads on the opposite sides. Since one of the roads is Herndon Avenue and it is an expressway, no access to the new development could be made from it, forcing Palm Avenue to be the only point of access. Since the parcel was shorter along Palm Avenue at approximately 500 feet, site and road planning was significant to prevent bottlenecks and traffic restrictions as vehicle volume increased over time. 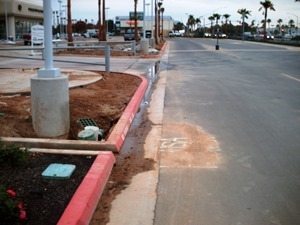 Aligning the entry to the development with the driveway of the retail center across Palm Avenue allowed enough room for a restaurant site to be developed on the south end of the parcel and justified for the installation of traffic signals to be setup around the new intersection. Once the entry point was established, Yamabe & Horn developed the entire grading plan for all 17.5 acres, from the storm basin right up to Palm Avenue. The largest Spanish speaking television producer in the nation, Univision, chose the location at the east end of Palmdon Drive to create their new 55,000 square foot headquarters. Yamabe & Horn created the site plan for their lot and designed the parking lot and associated grading plan for it. At the west end of the project, a Pasta del Pane restaurant chose the site just south of the entry way. Yamabe & Horn worked with the architect, Scott Beck to get the site laid out in a functional format, allowing for ample parking to the east of the building and plenty of visibility from Palm and Herndon Avenues. Finally, the retail strip directly on the northwest corner of the project was developed, with a drive-thru Starbucks capping the end. 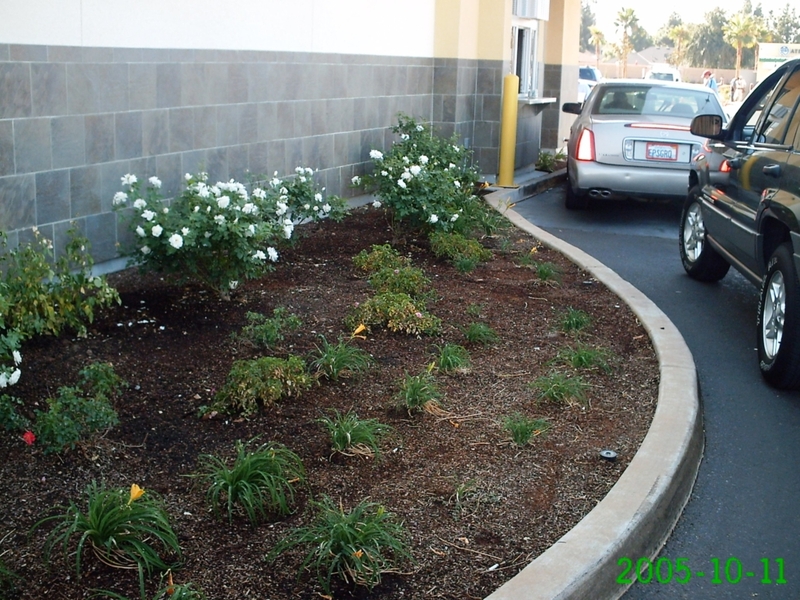 The site development was completed by Yamabe & Horn, along with the drive-thru creation, which required creating a hairpin curve that was obtuse enough to handle the largest passenger vehicles adequately. After the first phase of development, Lexus and Infinity car dealerships have gone in and were built out with ease due to the initial planning and grading done by Yamabe & Horn.